Sting and Trudie Styler were joined by Joshua Bell in celebration of composer Robert Schumann’s 200th birthday at Jazz at Lincoln Center on June 30th. Culture Project in a special association with Music Unites presented “Twin Spirits,” a unique event of music and theater devised and directed for the stage by John Caird featuring Sting as Robert Schumann and Trudie Styler as Clara Weick. Culture Project presented a very special New York performance celebrating the 200th birthday of composer Robert Schumann with a special performance of Twin Spirits, an intimate theatrical event devised and directed for the stage by Tony Award-winner John Caird, and featuring Sting, Trudie Styler and Joshua Bell, among other artists, on Wednesday, June 30, 7:30 p.m, at The Allen Room at Frederick P. Rose Hall, Home of Jazz at Lincoln Center on Broadway at 60th Street, New York City. Twin Spirits is a poetic meditation on the passionate relationship between composer Robert Schumann and wife Clara Wieck. 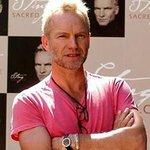 Sting joined his wife, actress, producer and philanthropist Trudie Styler to read from the letters between Robert and Clara. Their story was illustrated and interwoven with music composed by Robert – whose spirit was embodied by pianist Jeremy Denk, baritone Nathan Gunn and violinist Joshua Bell – and by Clara, who was evoked by pianist Natasha Paremski, soprano Camille Zamora, and cellist Nina Kotova. A portion of the proceeds from the performance benefited the Music Unites Youth Choir, bringing together public high school students from across the five boroughs. Twin Spirits was first performed in 2005, and was recorded before a small audience in a small studio space at London’s Royal Opera House in 2007, and released on the Opus Arte label in 2009. Music Unites is dedicated to bringing music education to underprivileged children in underfunded inner city school systems. Music Unites’ goal is to connect people through the universality of music by providing communities with opportunities for a rich musical experience. This is achieved through education programs and by offering established and emerging musicians performance opportunities in a variety of venues and locations, including schools, where they act as mentors to the students. Music Unites also nourishes the next generation of performers by providing audiences and performance opportunities, while at the same time enriching the listening experience of the public, allowing them to experience new forms and genres through exposure to an increasingly diverse world of music. For more information, visit musicunites.org.